Why take a cruise in Norway? Cruises in Norway are attracting more and more people who want to discover the fjords and aurora borealis. 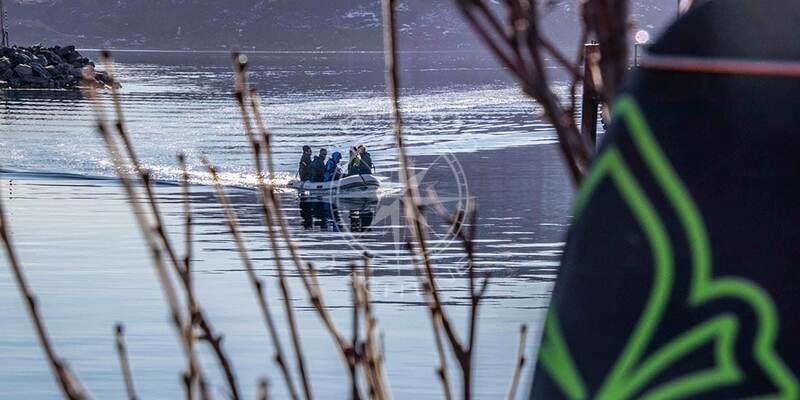 A cruise in Norway seems a little bit different for most people. You don’t find beaches with beautiful sand, or crystalline hot water, and of course any coconut trees! However, Scandinavian cruises, and especially in Norway, are beginning to tempt more and more people who wish to discover a completely different kind of cruise, more polar and definitely less traditional. Norway is a beautiful country, huge and impressive. 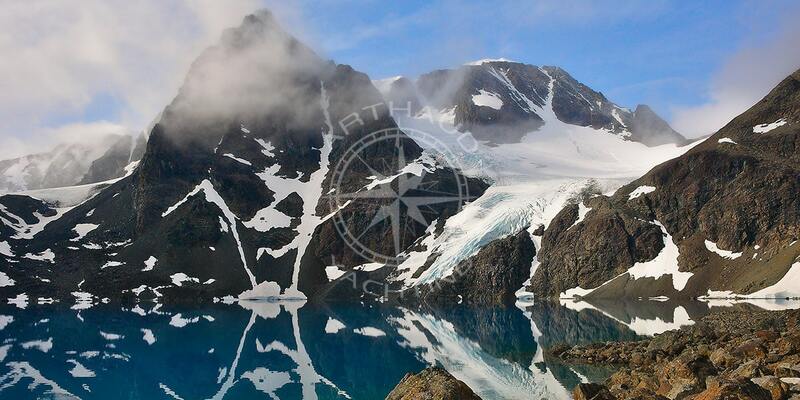 Cut through snowcapped mountains, the fjords were created by its powerful nature. Next to the Polar Circle, Norway deserves its nickname as: “The Land of the Midnight Sun”. Indeed, Norway is one of the privileged countries where you can enjoy this rare and magical phenomenon. 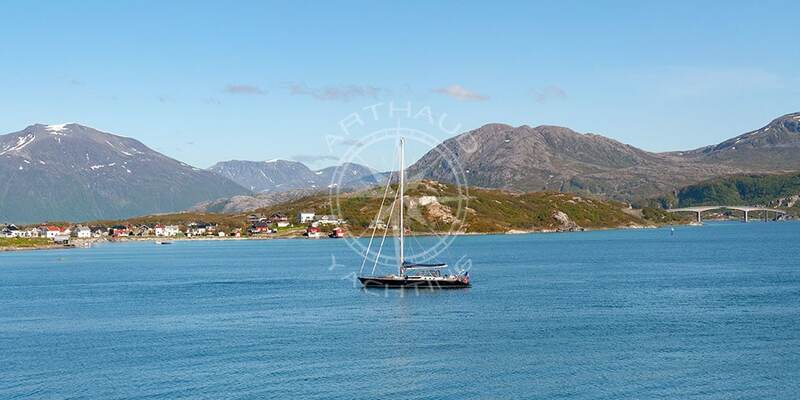 In light of all these reasons, Arthaud Yachting has chosen to propose a new concept to its customers: a new selection of private cruises in Norway which allies hiking, sailing and skiing. 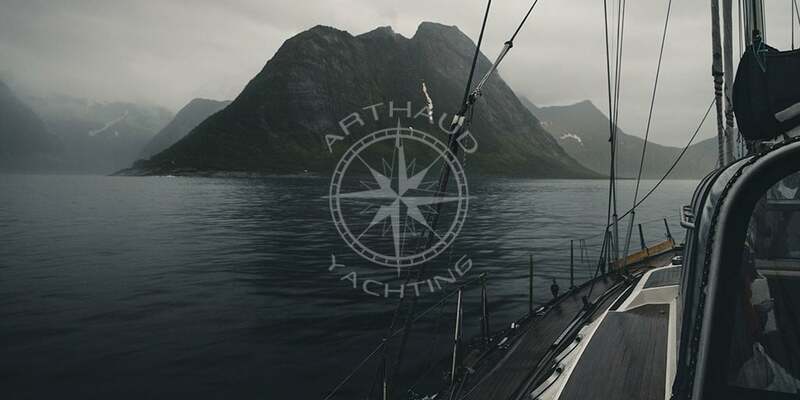 In order to diversify our offer, Arthaud Yachting sought the collaboration of the best sector specialists, with among others, an experienced crew for a privileged navigation in the fjords. 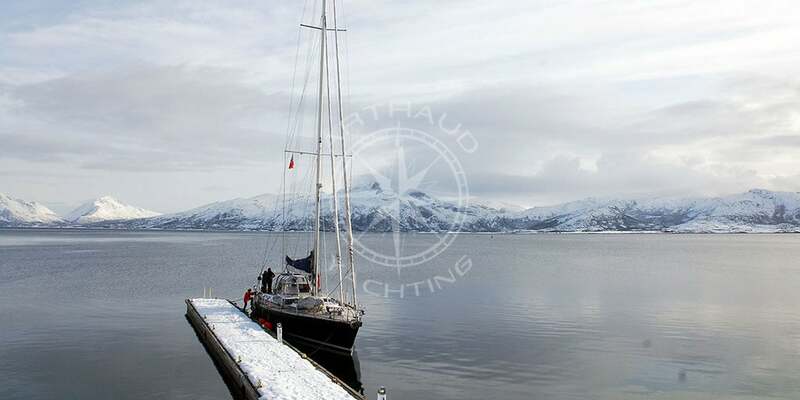 All in all, here is our program for the year 2018, mixing activities such as sailing, skiing and cruising in Norway. 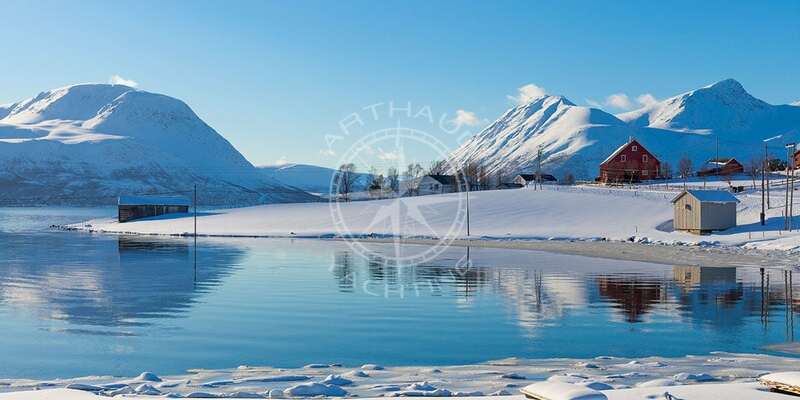 From March to May, our agency will offer tours in the Lyngen Alps, departing and arriving from the city of Tromsø, in northern Norway. The Lyngen Alps, named like this for a striking resemblance to the Alps, is a beautiful landscape east of Tromsø on the Lyngen Peninsula. Its highest point is Jiehkkevárri at 1833 meters. In this place, you will have the privilege to admire the aurora borealis, an exclusive and atypical show of the Nordic lands. 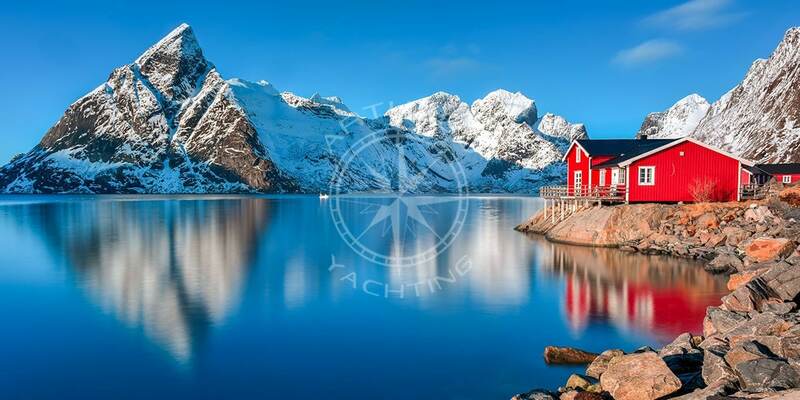 Our crew of experienced sailors will guide you on your personalized cruise in Norway, a unique occasion for you to enjoy both a sailing cruise and ski hikes, ideal activities to discover the mountainous alps which propose breathtaking views on the different fjords. 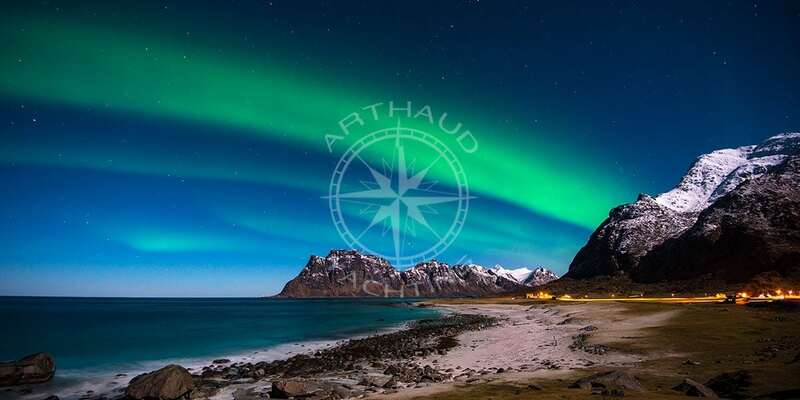 From May to July, Arthaud Yachting, always looking to give the best to its customers, offers you the opportunity to discover the Lofoten Islands, north of the Arctic Circle next to the town of Bodø. These islands have a mountainous geographical landscape, with bays and steep coastlines. 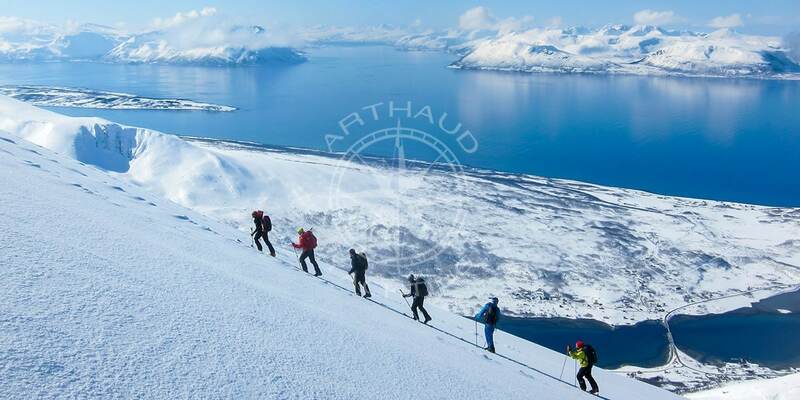 Throughout your stay, Arthaud Yachting proposes ski or snowshoe hikes as activities just before or after intense sailing sessions in Norway. The discovery of the city of Bodø is also on the agenda. With over 50.000 inhabitants, it is the Nordland County prefecture. Situated North of the Arctic Circle, you will be able to observe the Midnight Sun from June 2nd to July 10th. Tromsø is another city that we propose to discover as part of this itinerary. Nicknamed the “Paris of the North”, Tromsø presents a distinctive feature by organizing a midnight sun marathon in June each year. 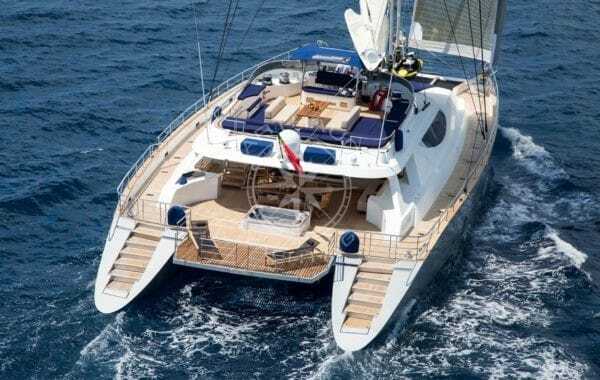 You will be able to share your thirst for adventure with our crew, who will adapt to your preferences and your requirement. 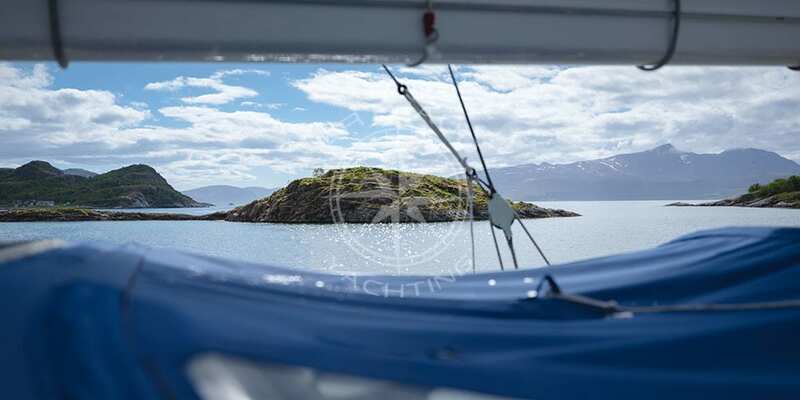 After this period, our experienced skipper team will head south to Bergen, with hikes and long hours of sailing in the Norwegian fjords on the agenda. You will be able to admire Europe’s largest and widest fjord, Sognefjord, chich is over 200 kilometers long. Its beauty makes it a popular destination for tourists. Our crew will also take you to the most impressive and wildest fjord in Norway, the Geirangerfjord. Very narrow, it present vertiginous and steep cliff-sides. 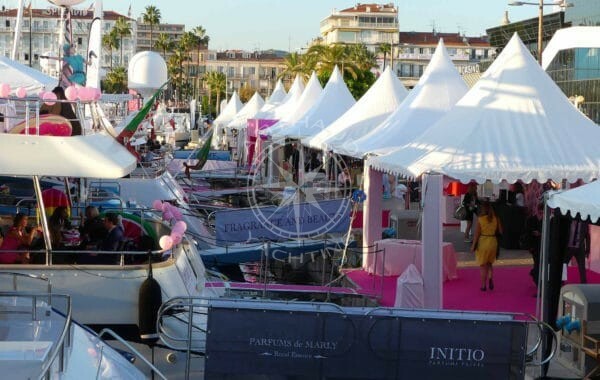 Maneuvered by our experienced skippers, our boat will allow you to experience this extraordinary show in safe conditions. 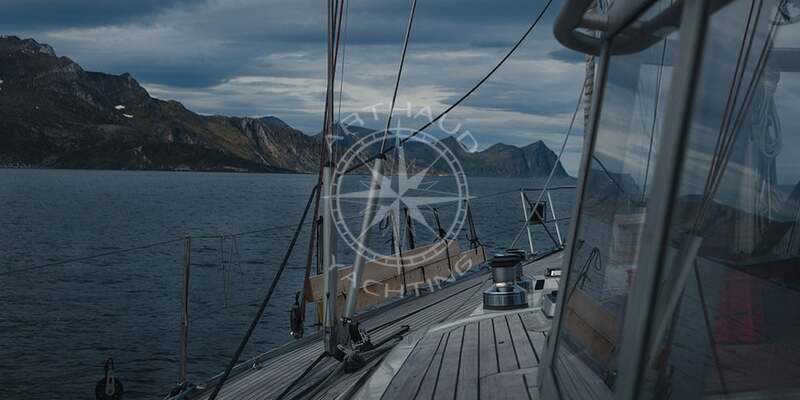 In September, heading West, Arthaud Yachting will take you to the Faroe Islands, a Danish archipelago located between the north of Scotland and the west of Norway. As an islet of wild nature in the middle of the sea, the Faroe Islands form a series of 18 small volcanic islands each linked to each other by bridges, tunnels and ferries. 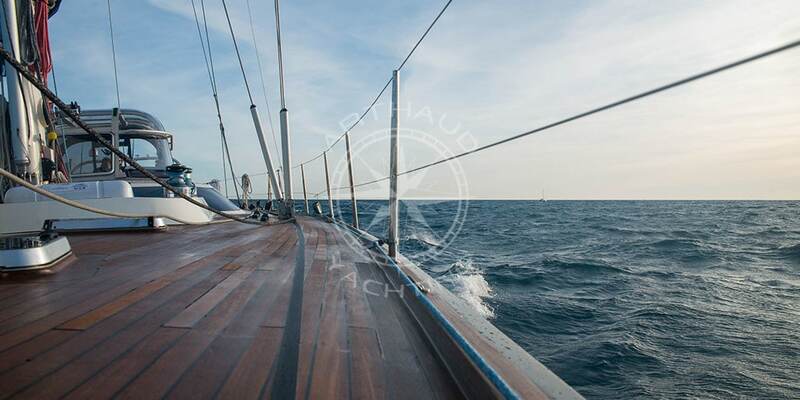 After this enjoyable tour, Arthaud Yachting will take you further south to the New Caledonian Canal, an inventive water “corridor” dug in the XIX century in order to allow passage through the north of Scotland from East to West. The New Caledonian Canal connects the city of Inverness, North Sea side, to Fort William, Scotland’s sea side. The Sail Caledonia, a famous boat race, occurs on this channel every year. 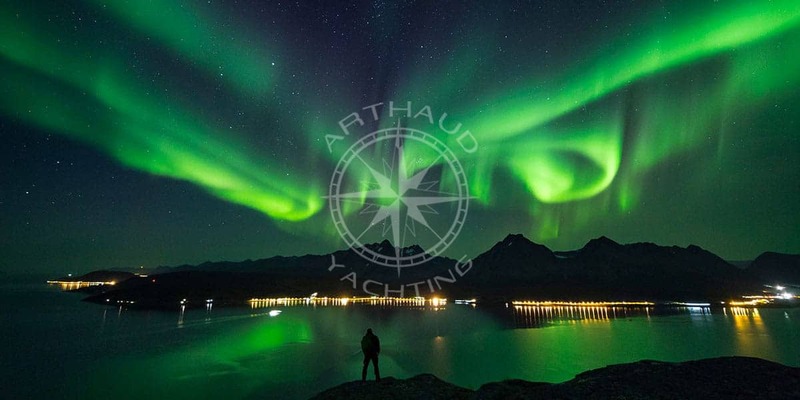 In 2019, Arthaud Yachting wants to continue to propose the same circuits to its customers, excepting from June 15th to July 15th in order to propose an itinerary further North, filled with extreme adventure, towards the island Spitsbergen. This island is part of the Svalbard archipelago, the most northern part of Norway, which constitutes a self-sufficient territory status without any military presence. When we disembark, you will be able to enjoy the majestic arctic fauna such as the Arctic fox, seals, sea birds and polar bears, the Master of the territory. In fact, on the island of Spitsbergen, you will realize that there are more bears than humans! Of course the proposed circuits are of great importance. 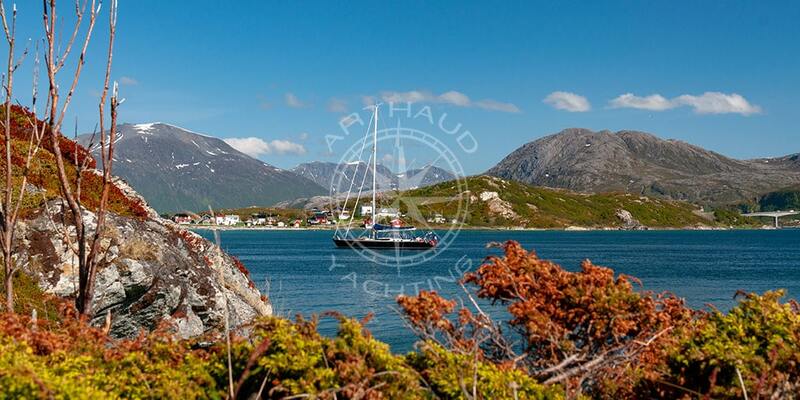 However, it is also good to know which sailboat will become our mean of transport during our Artic journey. 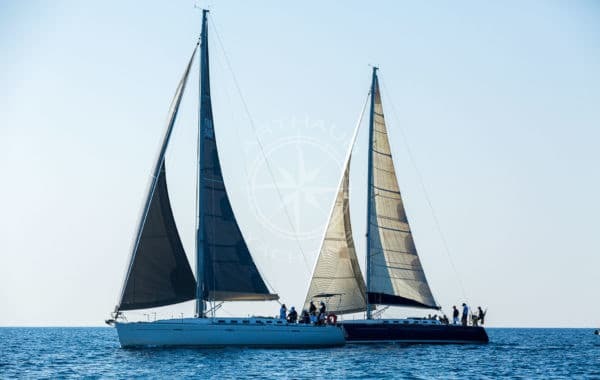 In order to always propose the best, Arthaud Yachting puts at your disposal the sailing boat Leatsa, a beautiful 24 meter boat, the crème de la crème of luxury sailing boats. 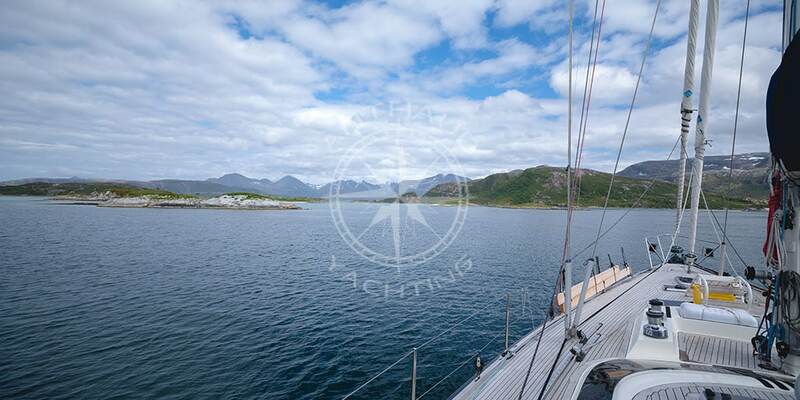 With an established experience in all the seas of the world, this 1992 sailboat now chooses the Far North as its main destination with a vocation for private cruises in Norway. Dressed for the cold, our sailboats, as well as our customers, are given various protections allowing them to endure the temperatures at their lowest. Central heating, numerous radiators and a protection made of Plexiglas and aluminum to protect the central cockpit, have completed the equipment of our sailboat to withstand the most difficult conditions. With all the technological advantages of modern life, Leatsa will provide you Internet by satellite, WIFI, TV, etc. in a friendly atmosphere. An open space will be shared by our customers and crew. 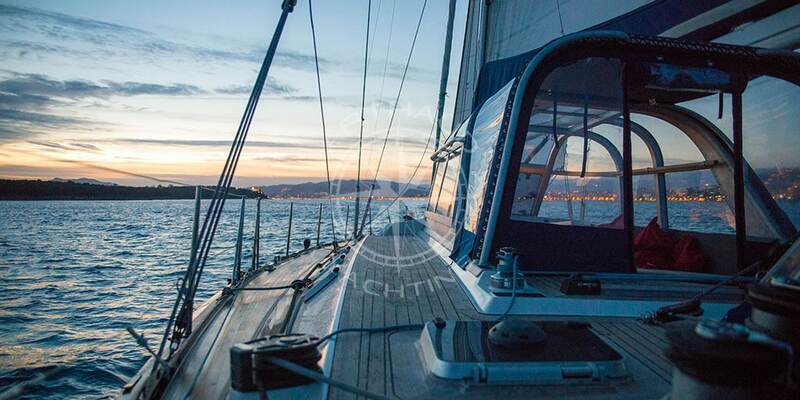 Our team will always be ready to exchange and advise you on sailing and activities for the next days. 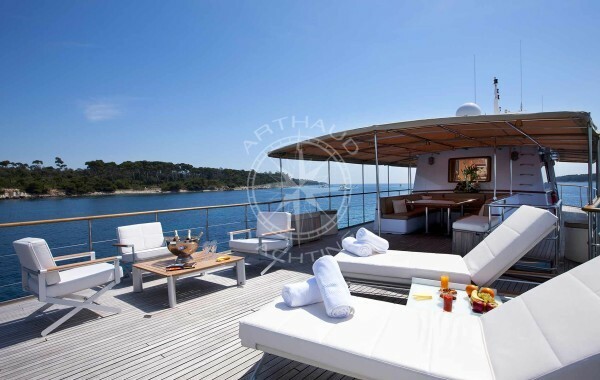 With a capacity of eight guests, our sailboat designed by architect Philippe Briand, offers comfortable cabins, composed of a double bed, a closet and drawers for storing your belongings, two portholes with one oriented towards the sea and the other towards the bridge, a large radiator, and 220v and USB plugs. Each cabin has the advantage of having a bathroom with toilet, shower, sink, radiator, cupboard and a heated towel rail. 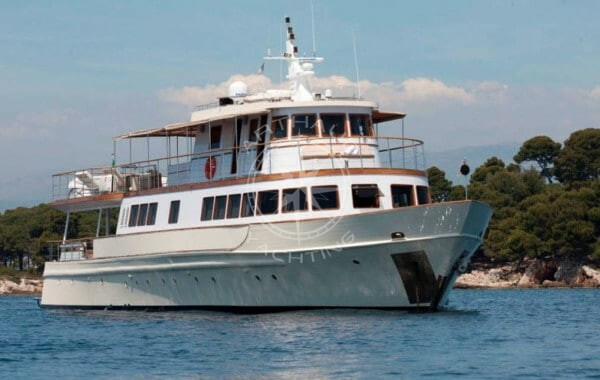 The Leatsa will provide you a high quality experience, with the best comfort. 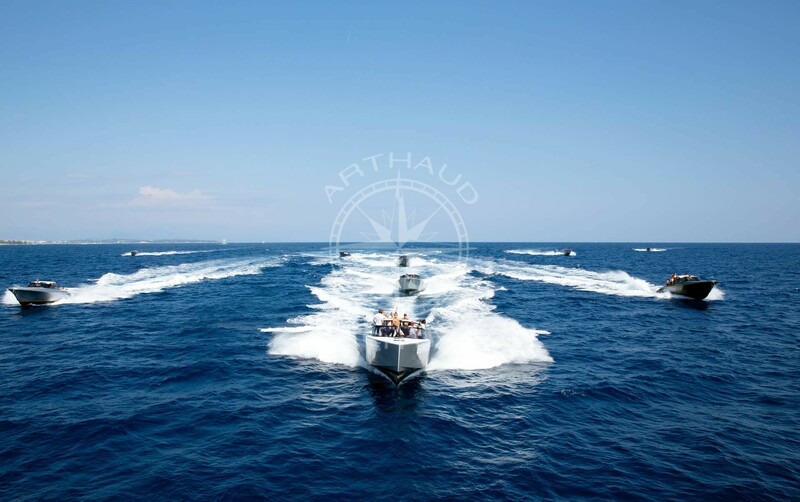 In order to disembark at various pit stops, Arthaud Yachting puts two inflatable tenders at your disposal. 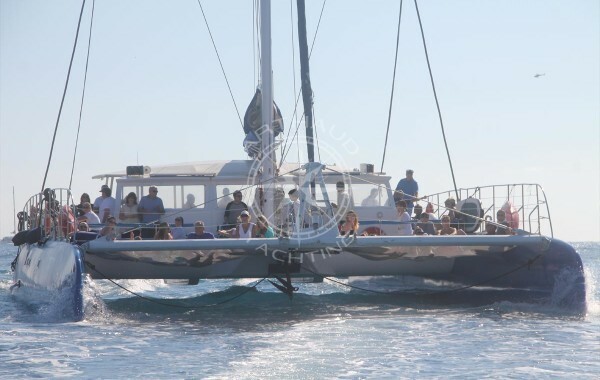 One with a larger capacity of five people, will quickly go to shore thanks to its powerful 20hp engine. The second more discreet and ecological has a capacity of three people, powered by a 3hp electric motor. For the more daring, the Leatsa also offers inflatable kayaks. 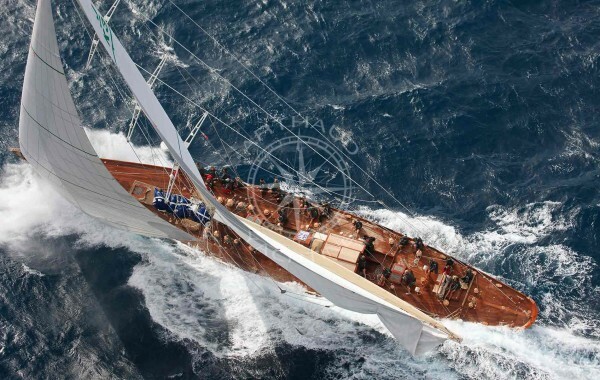 You can trust our sailboat for a successful stay; as well as our team, composed of experienced sailors. 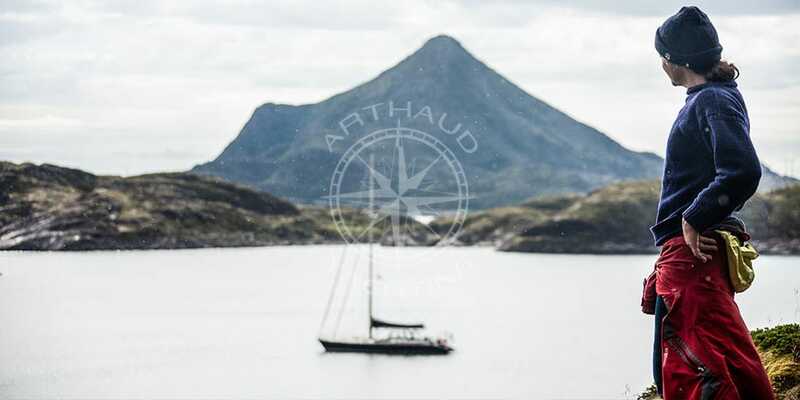 Thanks to its established experience in cruises, Arthaud Yachting is certain that a crew with great experience is essential to the smooth running of a cruise in Norway and an extreme adventure. 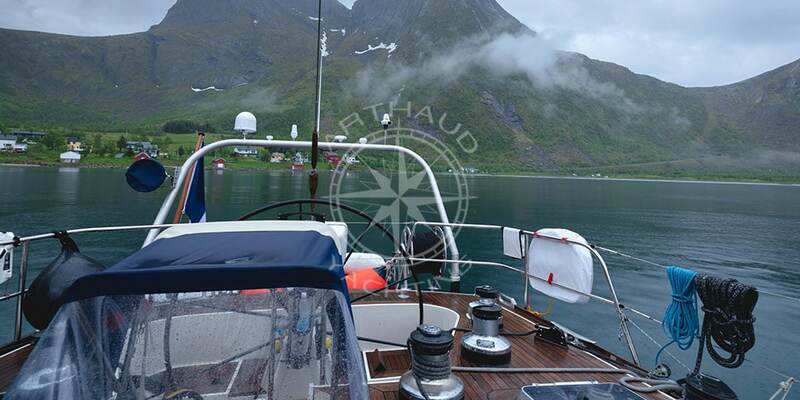 Our captain, selected by the French Sailing Federation for the Moscow Olympics in 1980, has a solid sailing experience and has the pleasure to accompany you to discover the cruises in the Norwegian fjords. As the team manager during three editions of the famous Vendée Globe, he has sailed with the best skippers of the ocean races. 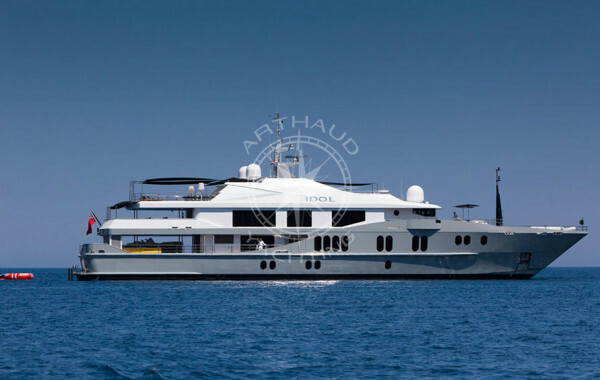 His second in command, graduated from the school of merchant navy in Marseille of has a great experience as a teammate and later on, as a captain on-board motor yachts. As a fine gourmet, he will share his love for cooking during the many exchanges you will share with the crew. 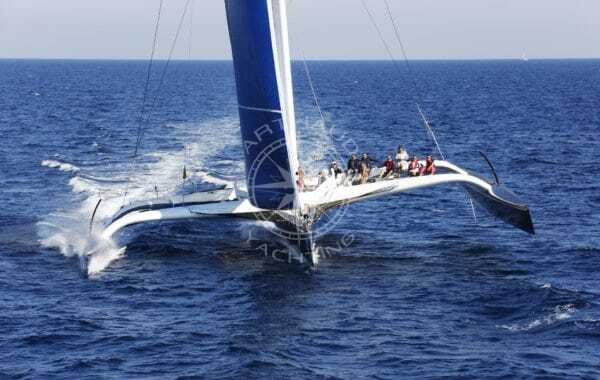 Our sailor, presents a diversified experience with navigations in Mediterranean Sea and even sport catamaran treks in the Philippines, without forgetting a windsurfing French championship. He will share with you his passion of the big spaces. Our entire crew will welcome you on-board the Leatsa and will guarantee an an unforgettable experience during your private cruise in Norway. 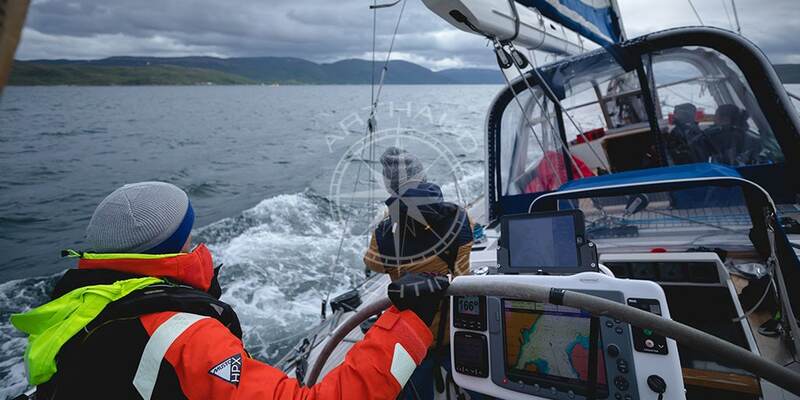 They will share anecdotes, stories and advice on navigation and artic regions. 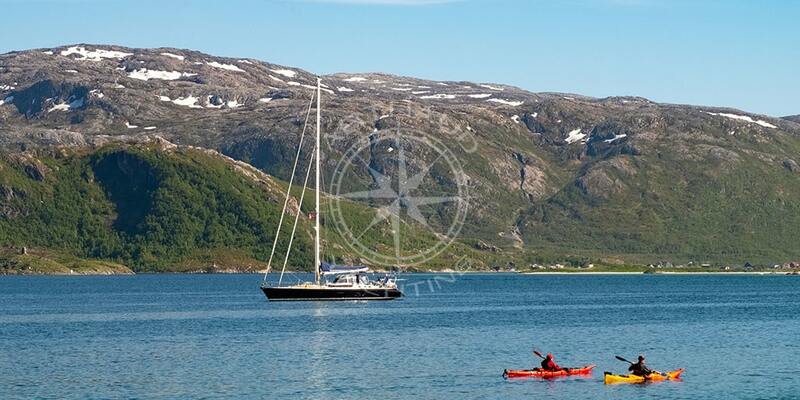 Navigate close to the Arctic Circle and the boundaries of the beautiful fjords of Norway, tempting yet? Do not hesitate! 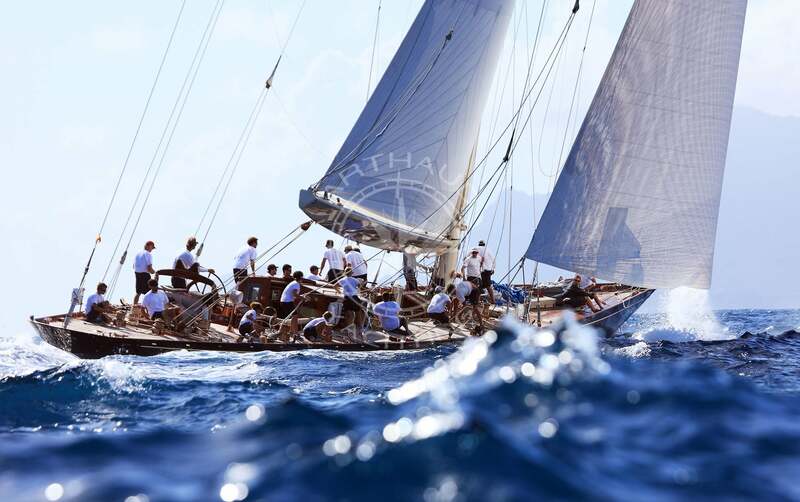 Arthaud Yachting will take care of everything!